The Zip and Block encasement prevents soiling from spills. A soft knit fabric with an ultra-thin breathable polyurethane membrane provides protection from allergen molecules of less than 1.0 microns. The top surface boasts a silky smooth polyester knit and is 100% waterproof. Based on expert recommendations, we designed our Zip & Block series to have an outer zipper flap, an interior zipper flap and reinforced inner seams for the most effective barrier to related allergens. We also included an extra-long rustproof zipper for ease of use, an outer and an inner flap closure and binding on the inside seams for extra strength and protection! A microfiber barrier fabric that offers completely "undetectable" protection against dust mites. While exceptionally strong, this luxuriously soft fabric is made of ultra fine fibres resulting in a fabric which is finer than the most delicate silk. The specially formulated fabric is made of tightly woven yarns that block out allergen molecules of less than 3.03 microns in size, while still allowing air and moisture to pass through freely. Extra long rustproof zipper for easy insertion. Zipper has both an outer and an inner flap closure for extra protection. Binding on inside seams for extra strength and protection. 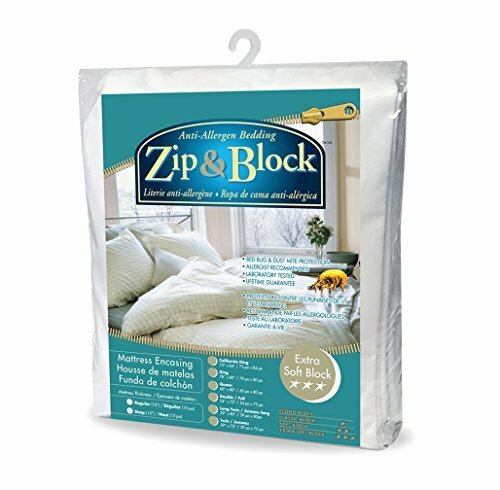 Zip and Block Pillow Protectors provides a protective barrier around your pillow that locks out and eliminates bed bugs, dust mites, pet dander, pollen, and mold spore allergies once and for all. A soft knit fabric with an ultra-thin breathable polyurethane membrane provides protection from allergen molecules of less than 1.0 microns. The top surface is a silky smooth polyester knit, while the bottom surface closest to the mattress is a scientifically tested breathable membrane to block out dust mites and their waste. Prevents breeding bacteria and is waterproof. 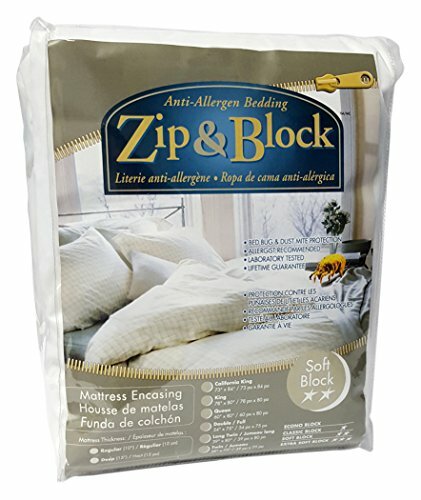 Based on allergist expertise, we created the Zip & Block range of zippered mattress, box spring, pillows and duvet encasings. 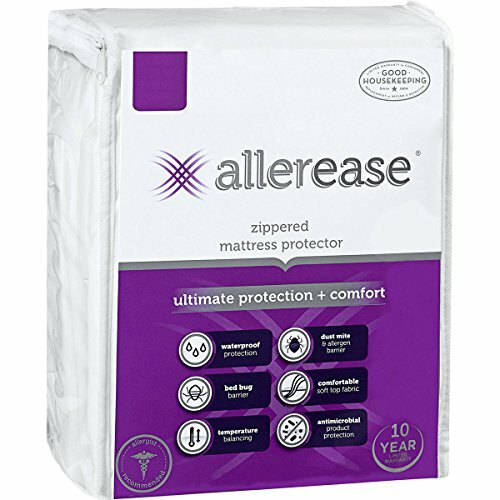 As medically recommended, our design is unquilted and manufactured with an outer zipper flap, an interior zipper flap and reinforced inner seams for the most effective barrier to related allergens. There is an extra long rustproof zipper for easy insertion. Zipper has both an outer and an inner flap closure for extra protection. 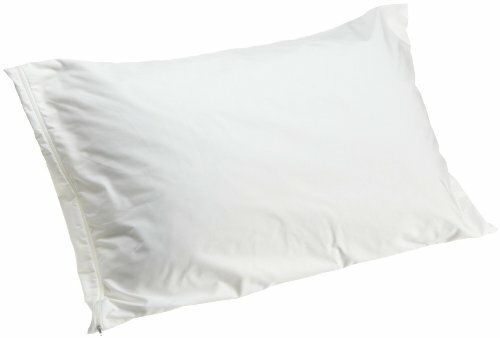 There is a binding on inside seams for extra strength and protection. Fully-encased, provides complete coverage! Must See Review! 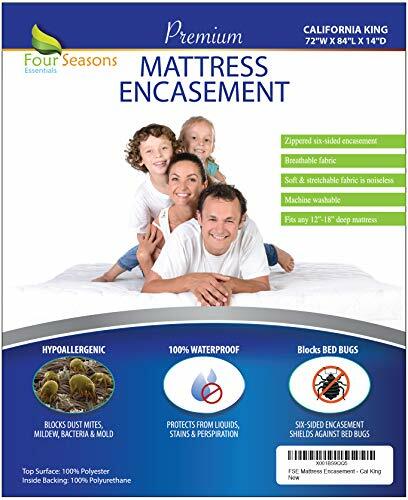 Safe and Sound Waterproof Zippered Mattress Encasement, Bed Bug Proof Mattress C.. 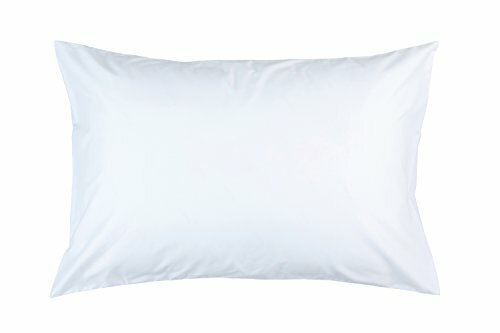 Compare prices on Block Anti Allergen Mattress Encasing at Elevelist.com – use promo codes and coupons for best offers and deals. We work hard to get you amazing deals and collect all avail hot offers online and represent it in one place for the customers. Now our visitors can leverage benefits of big brands and heavy discounts available for that day and for famous brands.